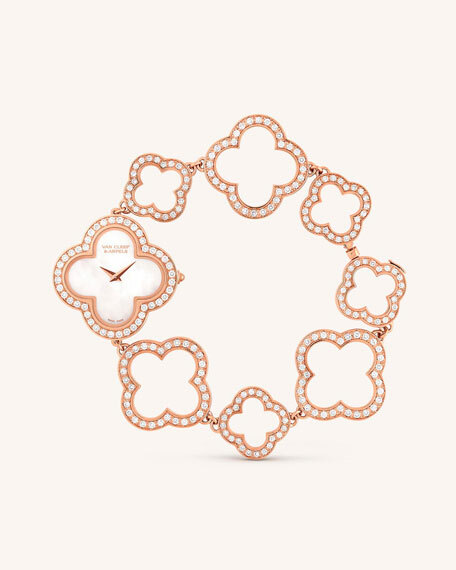 Vintage Alhambra watch by Van Cleef & Arpels. 18-karat pink gold case, 27mm x 27mm. Bezel set with round white diamonds. 18-karat pink gold bracelet strap with diamonds. 236 diamonds, 2.75 total carat weight.